Here’s the perfect way to show your kids that before Angry Birds, there was PacMan. 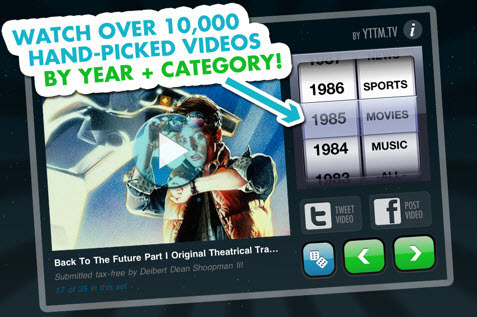 Video Time Machine is a brand new app featuring a curated selection of 10,000 YouTube clips. Clips are sorted by year and category – Movies, News, Sports, Music, Ads, TV or Games – select your year and category and open the video time machine. This app is the ultimate walk down pop-culture memory lane. Remarkably, the videos date back to 1860 although the real fun is searching through the years that you grew up in. 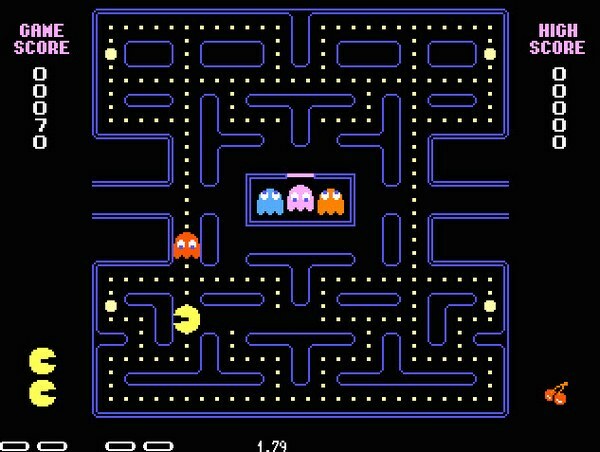 Watching a PacMan clip from 1980, singing the theme song to the sitcom ‘The Facts of Life‘ and reliving Michael Jordan basketball magic moments from the early nineties – know now that you will spend hours browsing the awesome collection. Don’t miss gems such as the 1970 opening credits for Sesame Street and the television advertisement for Nintendo, filmed in 1986 – it’s rad! Video Time Machine is $1.19 and is available through iTunes. Want more YouTube clips? Check our previous post on Kideos, an app that sorts YouTube clips especially for children.